Getting out the door in the morning can be a challenge for the most organized person in the world. Add kids to the mix, and it can easily become a catastrophe. 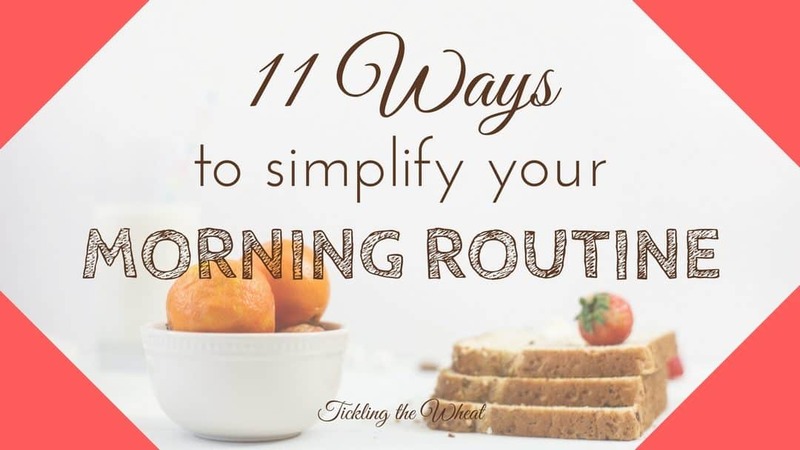 The good news is that it’s possible to simplify your morning routine. No, a fairy godmother won’t sprinkle her magic fairy dust on you (who wants to clean up that mess, anyway? ), but with a little planning, you just might make it out the door on time. I used to struggle to get out the door on time before I had kids. Then, once I had my son, the struggle became REAL. Add another kid to the mix, and I felt like I was drowning. No amount of coffee could fix that. After feeling like a complete failure on numerous occasions, I’ve finally started to get it together. Getting it together is a work in progress, and there’s no magical solution. That said, these 11 tips have helped me so much. If you’re struggling to get out the door (or even just get out of bed) in the morning, try these! Laying out clothes the night before can be such a stress-relief. You won’t have to worry about arguments with your kids or that awful “I have nothing to wear” moment as you stare in your own closet. For kids, I lay out a week’s worth of clothes on Sundays. To prevent arguments on Friday, I typically lay out an extra outfit so my son still has a choice. To simplify my wardrobe, especially when I was working, I created a spreadsheet listing all my outfits. I would highlight the week’s outfits in different colors so that I wouldn’t need to pick out clothes each day. Then, during the next season, I could refer to my spreadsheet and have a ready-made clothes calendar. Some things, like hot lunches, need to be packed at the last minute. But everything else could be packed the night before. Even lunches and snacks could be prepared the night before. If you do send a hot lunch, have it ready with the thermos on the counter, so that all you need to do is heat it and pack it. How many times have you put your shoes on, ready to walk out the door, only to realize that you left something on the other side of your house? Or worse, how many times have you arrived somewhere only to realize that you forgot the most important item? I can’t tell you how many times I arrived at work, breast pump in hand, only to realize that I forgot bottles or the pump parts. Even though I packed my pump and set it by the door every night, I would inevitably breeze past it in the morning. I finally started packing my car the night before. While I couldn’t pack everything in the car ahead of time (lunches might not be tasty if they’re left outside overnight), I tried to pack as much as possible to make my mornings easier. Everything else went by the door. Note, especially if you live in an area with extreme hot or cold temperatures overnight, you may want to pack your car with caution. In mild temperatures, I often leave my daughter’s diaper bag in the car. Since we leave medication in her bag, I need to bring it in the house during the summer and winter months, though. If you’re short on sleep, it’s hard to get out of bed and function well enough to get the kids dressed and out the door. One of the biggest lessons that I’ve learned from my FitBit is that I’m not getting enough sleep. In addition to needing massive amounts of coffee to pry my eyes open, I’m also relying on essential oils (I’ve been diffusing Awaken and Common Sense regularly, if that tells you anything about my morning functionality). Sleep will do wonders, but it’s difficult to get when you have toddlers who still aren’t sleeping through the night and a mile-long to-do list that stresses you out. One thing that I’ve been trying to work on is going to bed earlier and at a more consistent time. While it’s nice to sit on the couch vegetating at night, you’ll feel so much better if you skip that show that you really weren’t paying attention to and just go to bed. If your house is anything like mine, you have six pairs of shoes, ten coats, three bags, and who knows what else piled by the door. It’s no wonder why you can’t get out the door on time in the morning! We use this bench as an organizer and then we hung a wall hanger above to organize our coats, shoes, accessories, and keys. Everyone has a basket for their shoes, a drawer for accessories, and two hooks for coats. Just having a clean starting point can help you focus and work through your morning routine faster. Productivity experts recommend “clearing to zero” the night before. This includes doing the dishes before bed to make breakfast (and your morning coffee) easier. There’s no sense in looking at a pile of dirty pans in the sink when you’re trying to focus on making oatmeal and pouring juice. Another way to clear to zero is to put away odd things that aren’t necessary. Remember to put away seasonal items so that you don’t have to sift through them every morning. If it rained today but tomorrow’s supposed to be sunny, get the umbrellas, rain boots, and jackets put away (or at least out of your way). 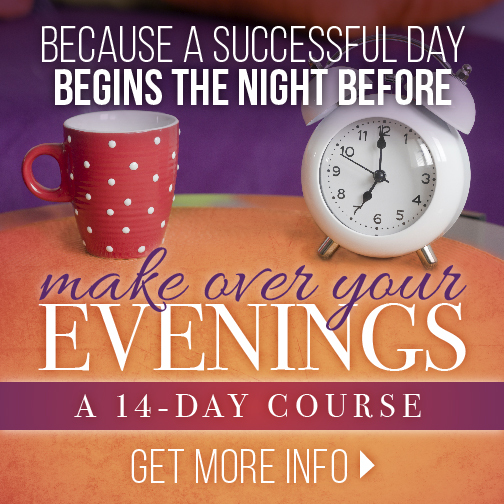 In Make Over Your Evenings, one of the first things you learn is how to set yourself up for success the next day just by doing a few essential steps to make your mornings easier. 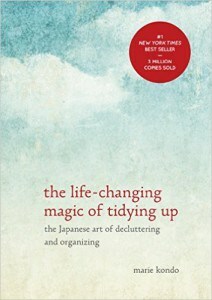 Marie Kondo recommends removing extra surfaces in The Life-Changing Magic of Tidying Up. 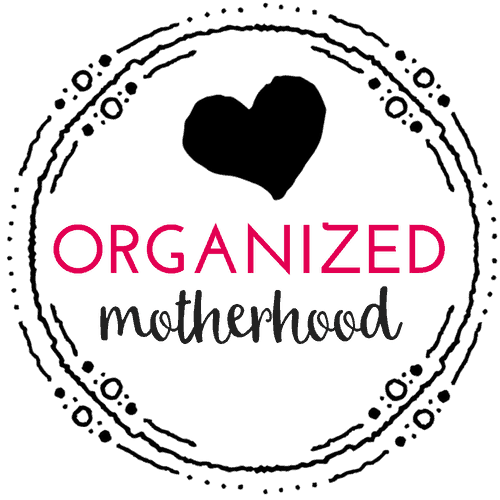 We used to keep a chair in our entryway so the kids could sit to put on their shoes, but it ended up being our “catch all.” The chair became a home for unopened mail, canvas bags from my latest shopping trip, my purse, the kids’ bags…. We never did sit on the chair! Now that the chair is gone, I don’t have to worry about having one more area to declutter. After shopping, I’m forced to put the canvas bags back in my trunk. The kids’ bags and my purse are organized on our bench. And the mail gets opened (and filed) as soon as I come in the house. If you regularly forget something or if you have a lot of things that need to be saved until the last minute, try using lists. My kids have food allergies and asthma, so we have bags for our bags. In addition to keeping everything packed as much as possible (each child has an Epi-Pen, Benadryl, etc.) always packed in their backpacks, I’ve learned to make lists. I’ve even put Post-Its on the door so I had to check my list before leaving the house. 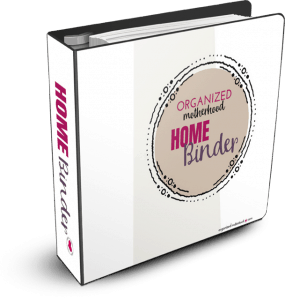 Lists are especially helpful if you and your spouse trade off on taking the kids to school. 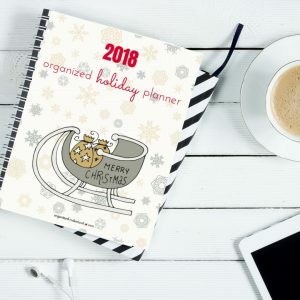 Instead of trying to remind your spouse of last minute items or worrying that he forgot to do something, having a checklist by the door will ease both of your worries. Many productivity and time management experts talk about creating the perfect morning routine, but they don’t often take into account the busy (and changing) routines for moms. Rather than getting up at the same time every day, the book encourages you to make different routines based on the time that you wake up. 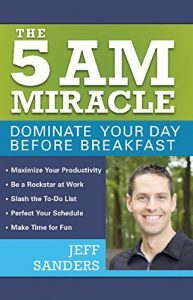 The point of the book is to start your day off on the right foot, whether that is at 5 AM or 10 AM. I’ve read other books that talk about having a morning routine to ease into your day, but that’s not always realistic, especially if you have kids. While I think waking before the kids is a great (peaceful) way to start your day, that may not happen every day. 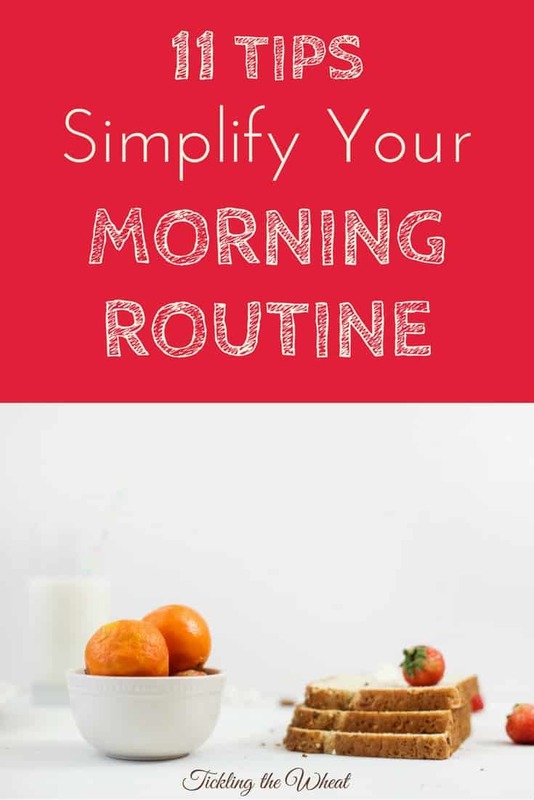 Instead, creating a routine for those mornings when your sole purpose is to get out the door knowing that everyone brushed their teeth may be more realistic. You can save your meditation/affirmation/exercise/reading routine for those days when life is a little less stressful. If you know it takes you exactly eight minutes to drive to you child’s school, give yourself twelve. Studies have shown that people consistently underestimate the amount of time things take. 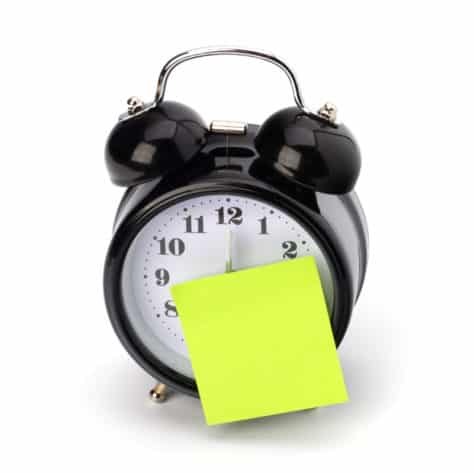 In order to correctly account for your time, multiply the time you think something will take by 50% or more. Even when you know something takes a specific amount of time, like the drive to school, try to account for surprises. You never know when you’ll get stopped by a train or a school bus. You may even have to deal with cranky kids or accidents like spilled juice. 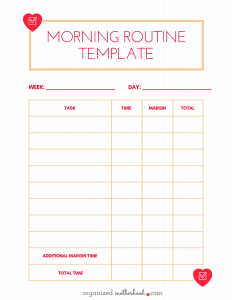 If you’re struggling to figure out what time to start your morning routine (or how much margin time you’ll need), download my morning routine template. Put down your cell phone. Don’t try to check email, social media, or your messages before you finish your morning routine. In fact, turn off all notifications. On my phone, the only notifications I get are texts, phone calls, and a weather report at 6:30 a.m. (just in time to let me know what kind of coat to wear if the forecast changed overnight). The beauty of simplifying your notifications is that you won’t have to access your phone to check the weather. By just glancing at your phone, you’ll be able to see any important notifications and you won’t get sidetracked by emails or social media. Another trick is to pack my cell phone in your bag right away. Not only will you be less likely to forget it, but it’s also out of sight so you won’t get distracted. 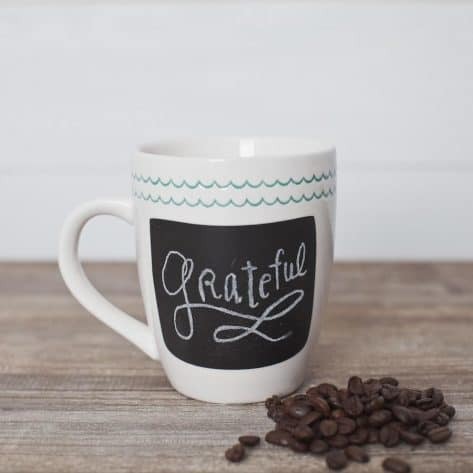 Especially if you aren’t sleeping well, including extra time in the morning to wake up and sip a cup of coffee is so important. This may seem counter-intuitive, but it’s really helpful to start your morning relaxed and thinking clearly. That said, I’m not advocating spending an entire hour meditating like many other productivity experts suggest. When your toddler still isn’t sleeping through the night, you probably need all the sleep you can get. Even spending five minutes to glance at your calendar, think about the day ahead, and take a deep breath will do wonders. Just make sure that you set a timer so you don’t spend too much time relaxing! In this society of multi-tasking and trying to fit in as many activities as possible, having a full schedule may seem normal or even possible. But it’s not. Don’t try to cram three hours of activities into your hour-long morning routine. You’ll only end up frustrated and late. Again. Even if you account for buffer time, an extra-long morning routine is stressful. Focus on doing as much as possible ahead of time and then leaving only the important things for the morning. Everything else can be done later. By following these eleven tips, you’ll be able to have more manageable mornings. Keep in mind that getting out the door, especially during different seasons of life, is a work in progress. But with a little planning and focus, you’ll be in good shape.